Bluehole Studio just revealed the first artwork of the TERA sequel that is in development at the Korean studio apparently since 2012. 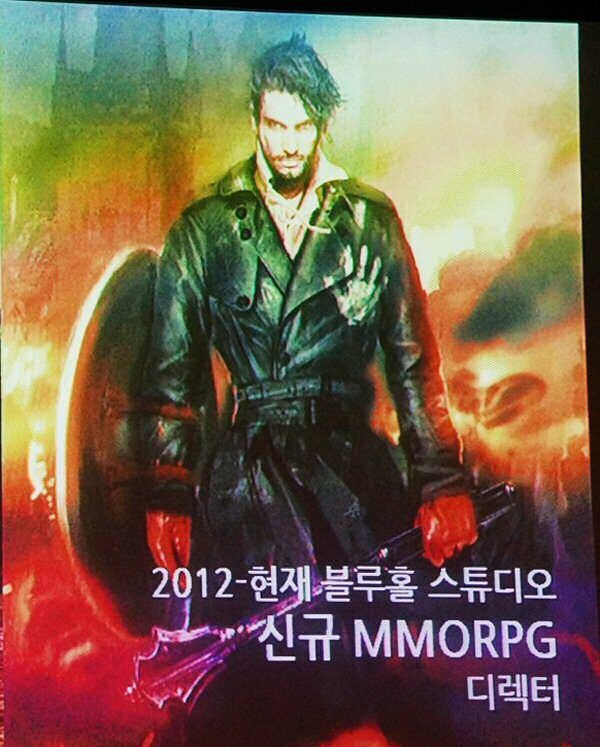 The artwork was revealed during the Nexon Developers Conference 2014 (thanks MMOCulture) and shows a man in a leather jacket with a shield in one arm and a mace in his hand. While the man's image does look modern, the weapons are decidedly old-fashioned and an old castle is visible in the background. What do you think this contradictory artwork could mean about the setting of the TERA sequel?